A short time ago, a comic book giant passed away. Not one of the MCU characters that got Thanos’s Death Snapture; this giant was a comic book artist. Not just any comic book artist. He was Steve Ditko. Known to many as Spider-Man’s co-creator, Steve Ditko was also part of the first decade of the creation of Marvel Comics. His main character contributions and sequential issue work are Spider-Man and Dr. Strange, but during Marvel’s initial years, he also drew plenty of issues featuring Hulk, Ant-Man and the Wasp, Iron Man, along with issues of The Avengers, and all sorts of double feature issues. Comic book creations and pop culture relevance is by now well ingrained in the minds of moviegoers and audiences worldwide. people now understand that many superheroes began as characters seen in published comic books. Newsprint paper, four-color separation and halftone color patterns were props behind the stage. Distributors and retail stores were their curtains and the hands and eyes of those who bought these issues were the audiences. Comic book fame spun off into animated and live-action TV shows, video games, movies and merchandise. The most profitable characters were the superheroes. Among this web of inter-related media was the thread of the creator. Someone had to come up with the story Someone had to come up with the character design – the color and shape of the costume and character faces. Someone had to come up with their signature moves. There has been much discussion in the past as to what degree of involvement Stan Lee, Jack Kirby and Steve Ditko had in creating Spider-Man. How much of Spidey was adapted from Jack Kirby’s initial design? How much of Spidey was in Lee’s brief written synopsis? What was Ditko’s actual contribution in regard to the amount of content – character designs, costumes designs, characterizations, signature moves, etc. ? It’s a discussion that may never be resolved. For a character who is arguably the world’s favorite Marvel Comic character, his origin is still unclear even though he was introduced in Amazing Fantasy #15. Back in 1961, Marvel Comics Publishing Group was such a loose and flowing House of Ideas, that any iteration which lead to the creation of the Spider-Man look we all know and was only loosely documented. Some of it was Kirby. Most of it was Ditko and approved by Lee. But there’s no doubt, the look that Ditko presented is a handmade costume, big eyes, a webbing motif on the red portions of the costume, and mechanical web shooters. Ditko had a penchant for quirky action poses and Spider-Man’s signature poses no doubt came from Ditko. None of Kirby’s characters moved like that. All of Ditko’s characters moved kind of quirky and not quite natural. His landscapes ranged from urbanely gritty to fantastical. The distinctive realms he drew for the Dr. Strange stories have been compared to Salvador Dali paintings. 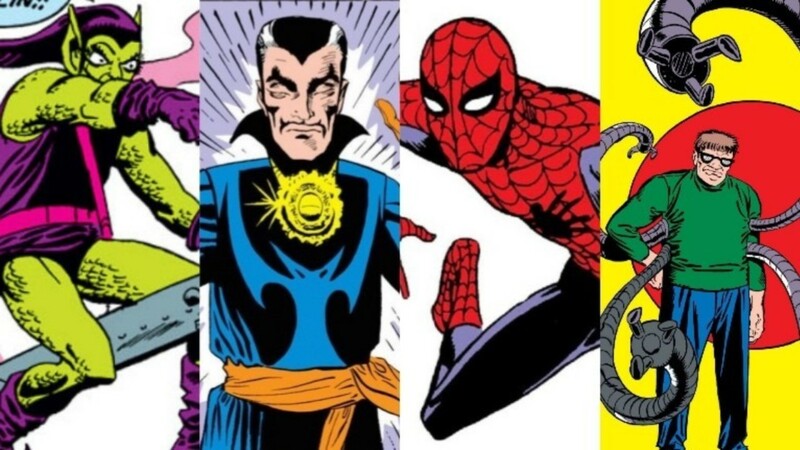 The characters’ look for both hero and villain were all Ditko. Even the “surfer dude hand sign” which is used by both Spidey and Dr. Strange is a signature Ditko design. 1950’s- Ditko studied under Robin and the Joker co-creator Jerry Robinson at New York’s School for Cartooning and Illustration. 1950s- Ditko worked at Atlas comics doing background work in all sorts of monster UFO, western, romance books. Worked under Joe Simon and Jack Kirby. Atlas would eventually be renamed into Marvel Comics in the 60’s. 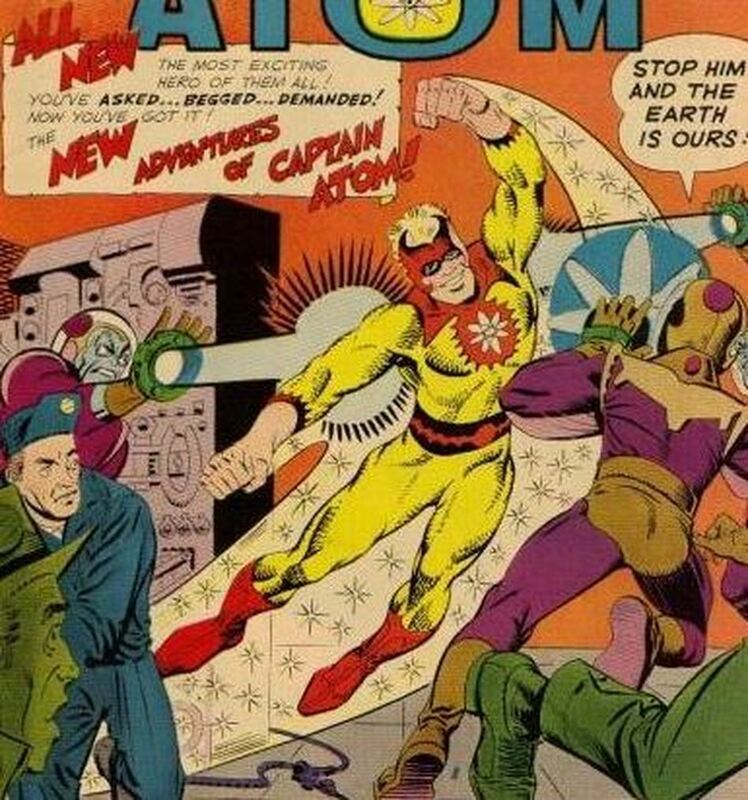 In the 50’s Ditko began his long contribution work at Charlton Comics, most notably for creating Captain Atom. 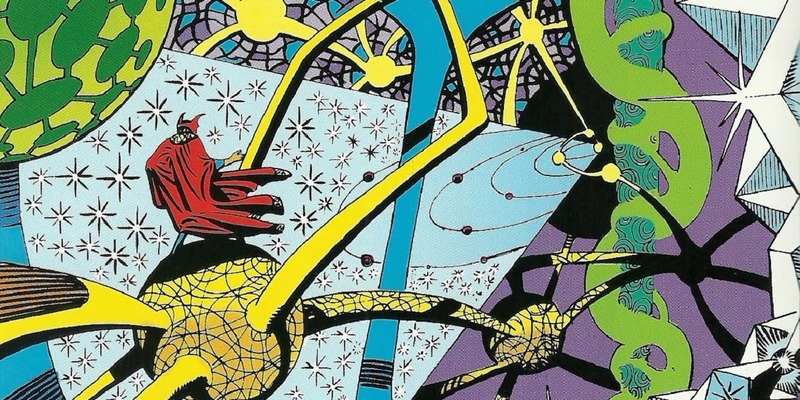 1960- Ditko was a founding member of the Marvel Universe, specifically Spider-Man and Dr. Strange. He worked on various single issues of other heroes and designed Iron Man’s slimmed down red and yellow armor that is his core look to this day. Ditko left Marvel following disagreements with Stan Lee over The Amazing Spider-Man. 1970’s- Ditko worked for DC Comics and continued working at Charlton Comics. Created cult classics like the Creeper, the Question, Shade: the Changing Man, and Hawk & Dove. 80’s to present- He worked on various projects. Some independent, some mainstream. Created the character Speedball of the New Warriors. Worked on The Micronauts. The final issues of Marvel’s Rom: Spaceknight– inked by Ditko admirer John Byrne. Marvel’s The Further Adventures of Indiana Jones. An issue of Captain Atom was pencilled by Ditko, and inked by Byrne. 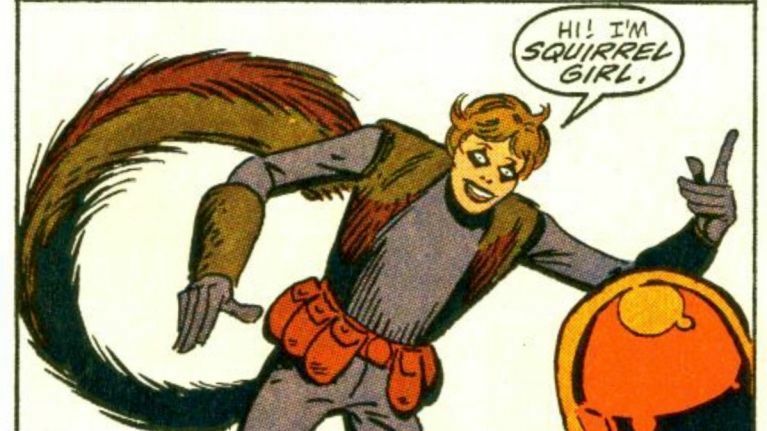 His last major superhero creation was Squirrel Girl, who is a fan favorite today. Ditko’s final mainstream work was a five-page New Gods story that was published in 2008 in Tales of the New Gods. Ditko was inducted into the Jack Kirby Hall of Fame in 1990, and the Will Eisner Award Hall of Fame in 1994- the comic book industry’s highest honor. There’s no doubt in my mind that the Marvel Universe would look very different without Ditko’s input, and Marvel probably would not have that big of a following without Ditko. For reasons we’ll never know, Ditko remained somewhat of a hermit during his life, but that was his right. I have a lot of appreciation for him because of his skills and contributions. He was one of the greats. 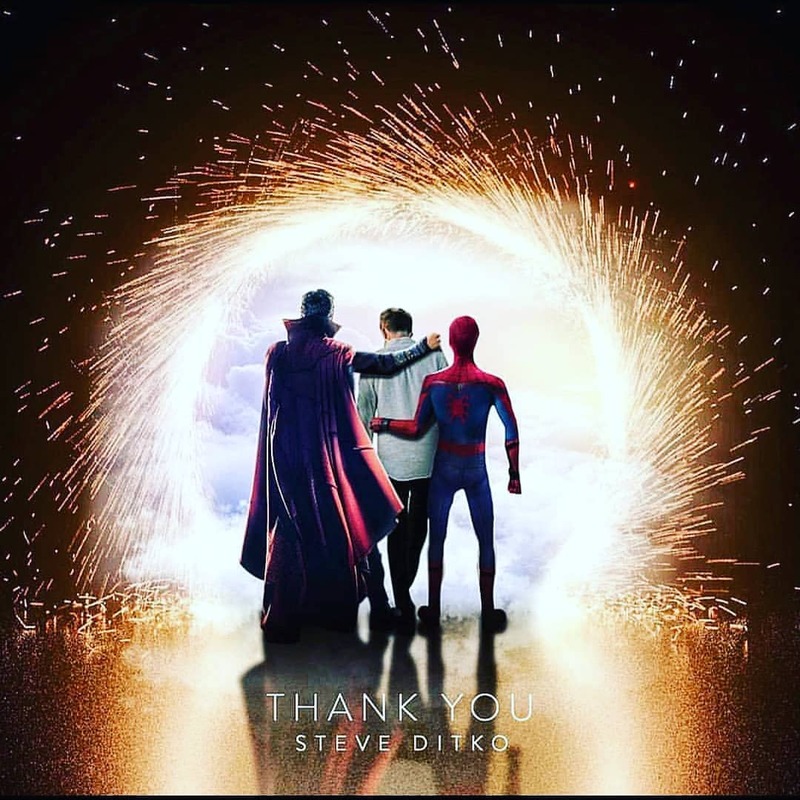 Great piece about Steve Ditko’s work and career, so sad to hear that he’d passed away. A true comic book great, creator of heroes and wonderous magic! Ditko was a true giant and had his hands in many titles. He was quite prolific as seen with all the characters he created aside from Spidey and Dr. Strange. Great post, some details I didn’t know as well! 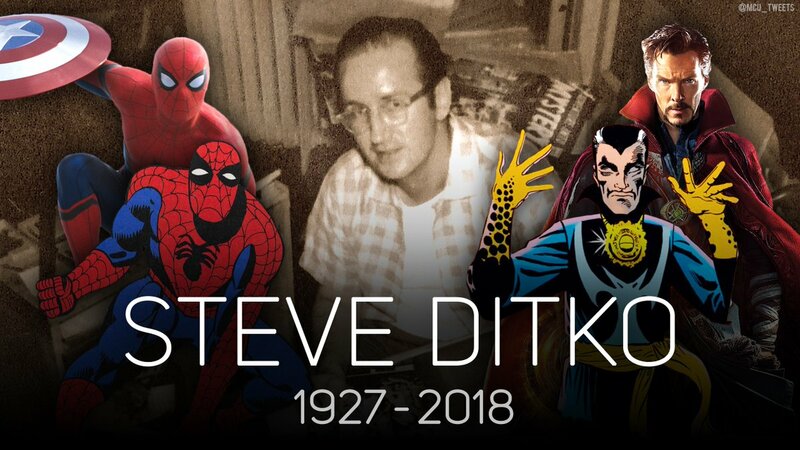 It’s a sad loss and a shame that Mr. Ditko was so reclusive as it would’ve been wonderful to have heard his thoughts and memories on the creation of some truly amazing characters and the birth of the comics universe as we know it. But, as you say, that was his right and we can only be thankful for his contribution to comics and pop culture. Thank you. It was his right to remain out of the public eye although it would’ve been awesome to hear his thoughts. Still, at least he left behind a rich legacy of wonderful characters.